An agent in a customer service is not just a single role to be played. 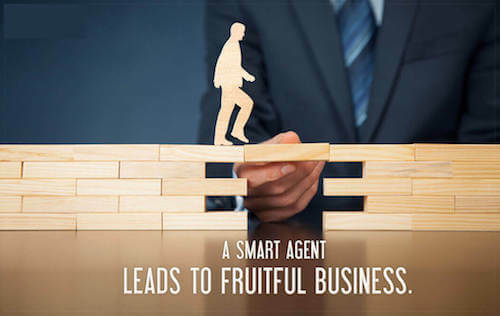 Agents are the front-runners in an enterprise who are wholly responsible for a customer’s satisfaction and it is widely known that customer satisfaction is directly proportional to scaling up of a business’ sales. Customer Service plays an important role in gaining success in a contact center. The sole job of a contact center is to receive the calls and answer their queries in real time. But, it is not as simple as it seems. The real catch behind an agent’s task lies in providing customer satisfaction at the right time. As an agent, they are responsible to handle all kinds of clients from confused, to frustrated, too naïve and some clever too. But, tackling such clients or visitors is what they have been trained for. And if they fail in handling customers, the result is ultimately their exit, leaving the business in a dire situation. But, behind all this what matters the most is the positive attitude that keeps a “sunny” situation on your business operations consistently. A positive disposition, eager to help attitude and lots of patience are the necessary elements that make up an efficient agent. How would you know that your agents are efficient enough? Well, the signs of efficient agent lie in customer’s behavior. The better the agent, the more positivity it brings about in the attitude of customers. They will be calmer while responding to your inquiries. The customers get the feeling that their problems will be solved and will further co-operate in the required situations. It is an obvious conclusion that better your agents’ behavior, higher the name you earn in your business.